The end of a year has one extra bonus for me, on top of the family-time, gift-giving, and catching up with friends, and that’s the announcement of the top health and wellness trends for the year to come! I love both discovering new self-care opportunities and seeing some of my personal healthy pastimes hit the mainstream. This year was the best yet, as Well+Good invited me to comment, as a board member, on one of their chosen wellness trends – menstrual realness! I was so happy to see menstrual taboo-breaking and cycle health brought to the forefront by their influential and much-discussed list. I’ve been bringing the menstrual realness for years, so it was absolutely wonderful to be recognized as a leader in this category and to see that we’ve reached that crucial tipping point when more women will get to know the benefits of living and loving their menstrual cycle. I look forward to all women having a meaningful and healthy relationship with their menstrual cycle that is free from dysfunction. Not only that, but we’re ahead of the curve here at FLO Living for talking about other 2017 wellness trends for some time, including anti-inflammatory ingredients like turmeric and natural, toxin-free beauty products. I thought I’d share my thoughts on the other wellness trends for the upcoming year that I’m excited about, enjoy and hope to see gain momentum in the future. There are also some of my personal predictions for 2017. Natural beauty takes over – I love that women are viewing their beauty products with more scrutiny. I’ve been seeking out toxin-free cosmetics and skin care for nearly 20 years now and I am thrilled to see this trend go mainstream with stores and websites like CAPbeauty, Follain, and Credo. I have so many choices now, and so do you! And they’re more affordable than ever. We’ve gotten so conscious about the chemicals in our food, this is the next step. And the #nomakeup trend is a part of that – an understandable reaction to years of piling on chemical-laden products that may make us look good but don’t, longterm, make us feel good. I hope to see more spas and wellness centers incorporate natural products into treatments, like chemical-free facials. Here in NYC, there are a few places that do this, but it’s still difficult to get the treatment you want using all-natural products. I love HeyDay right now, which provides super affordable facials with a standard of using products that are free from parabens, sulfates, and artificial fragrances. Woo-woo meets science – Research continues to validate many long held natural health theories from the brain body connection to electromagnetic field effects. As we come to understand more about the natural world and the importance of connection with natural elements for our physical and mental health, it only makes sense that what we once saw as woo-woo is getting validated by scientific research. Many things that feel good to women instinctively, but were once out of reach to those who felt the feelings too new-agey to explore fully, are now socially acceptable. It’s why crystal healing is a trend, but it’s also why more women are looking to connect with moon energy by observing the moon’s phases and practicing rituals on the new and full moons. We’re coming back to the body and, I think, our renewed interest in our female connection to nature can only lead us to see the importance of the menstrual cycle. 360 degree wellness – From restaurants, to vacations and retreats – I love that indulgence has healthy options! It’s now relatively easy to find a great restaurant in NYC that has nutrient-dense dishes, free from dairy, gluten, and sugar, that also feel indulgent, luxurious, and delicious to enjoy. Once going out and indulging was a trade-off, now it’s a balance – you don’t have to resign yourself to only home cooking and avoiding date nights and girls’ nights out to avoid the health-hazards. Even bars are providing non-alcoholic elixirs and amazing tonics as an alternative to cocktails. Plus cafes have healthy options like turmeric lattes and chai teas so you can “meet for coffee” without the coffee. 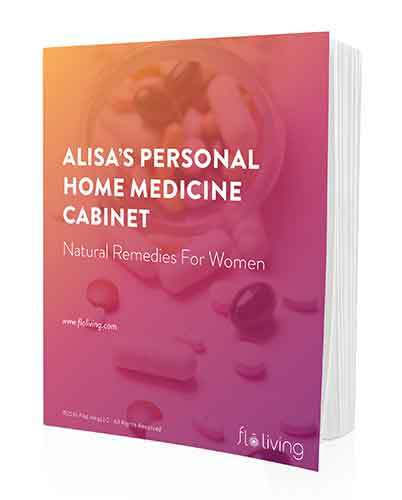 Women now want 360 degree wellness – that is, wellness is every aspect of their lives, whether that be at work (think standing desks and walking meetings), or in their leisure time. We, rightfully, want to have our cake and eat it too – as long as it’s gluten-free, dairy-free, and sugar-free! That demand is driving the market to create restaurants, bars and bistros around, rather than in opposition to, our health goals. My current favorites are Cafe Clover, where my favorite dish is quinoa tagliatelle with beet greens and maitake mushrooms, and the organic fare at Juice Press. Plus, more women are now choosing to experiment with their hang outs by meeting friends to share infrared sauna time, sound baths, or even cryotherapy! I love these adventurous ways to spend time with your besties. It’s a way to feel moved, to feel different and new, without partaking in anything that will give you a hangover the next day. In fact, you’ll feel vibrant and refreshed instead. We’re even seeing the return of women’s circles that reflect Red Tents as more places pop up for females to gather together for collective support and self-care. Female centric workouts – I’ve long been a proponent of seeking out workouts that speak to your body and work with your natural energy levels. Workouts that incorporate movement and dance, that encourage connection to our grounding feminine energy are becoming more popular. 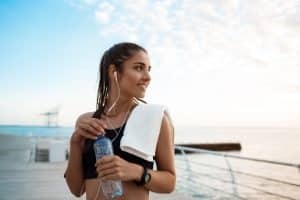 Instead of driving yourself to run a certain distance or do a certain number of push ups, this feels more holistic and attends to both your physical and mental health. S Factor, Buti yoga, TheClass, Qoya are all wonderful options for those seeking to do more than sweat it out. First, which wellness trends do you hope to embrace in 2017? Second, what does “menstrual realness” mean to you? Alisa, I started eating to cycle sync during my luteal phase this month (eating specific veggies and a lot more essential fatty acids) but after a few days I noticed I became very low energy even though this was supposed to be the most energetic phase of the cycle! I also noticed I haven’t been sleeping well at all this week and feel hungry at odd times. I was really surprised by this since I’ve been increasing my intake of magnesium rich foods. Is there something I’m doing wrong? ?